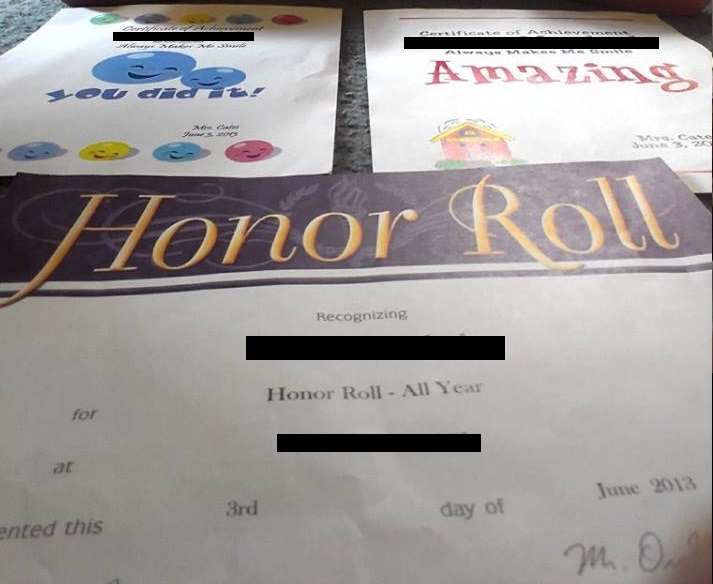 HONOR ROLL ALL YEAR BABY! What What!! Who got an award for the amazing feat of making the Honor roll ALLLLL year long? Bug did, that’s who! He also scored not just one, but TWO “Always make me smile” awards! Well duh, ya know those were a given! I know I say it all the time, but I am so unbelievably proud of the little man our son is turning out to be. All of our kids are so different and what works for one may not work for another. There is so much trial and error we have gone through over the years to find out what works for Bug and what doesn’t. Knock on wood, I feel like we finally have found our groove ! Congratulations! I know you must be on cloud 9!